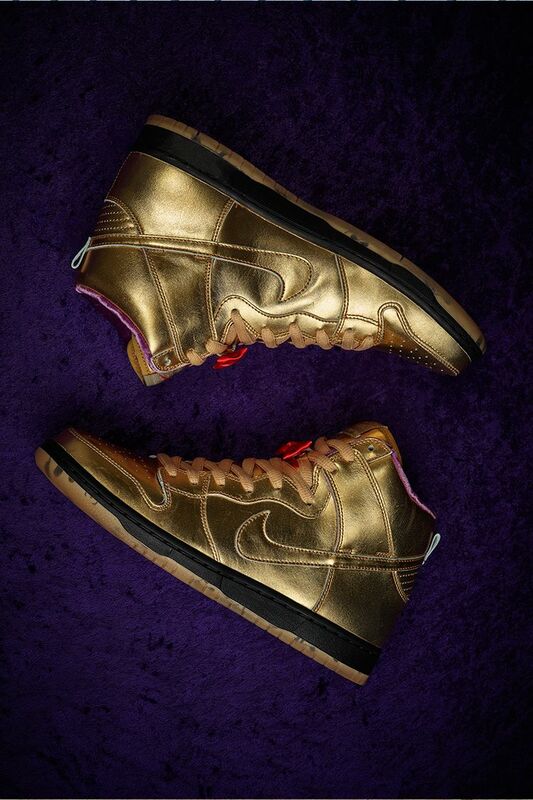 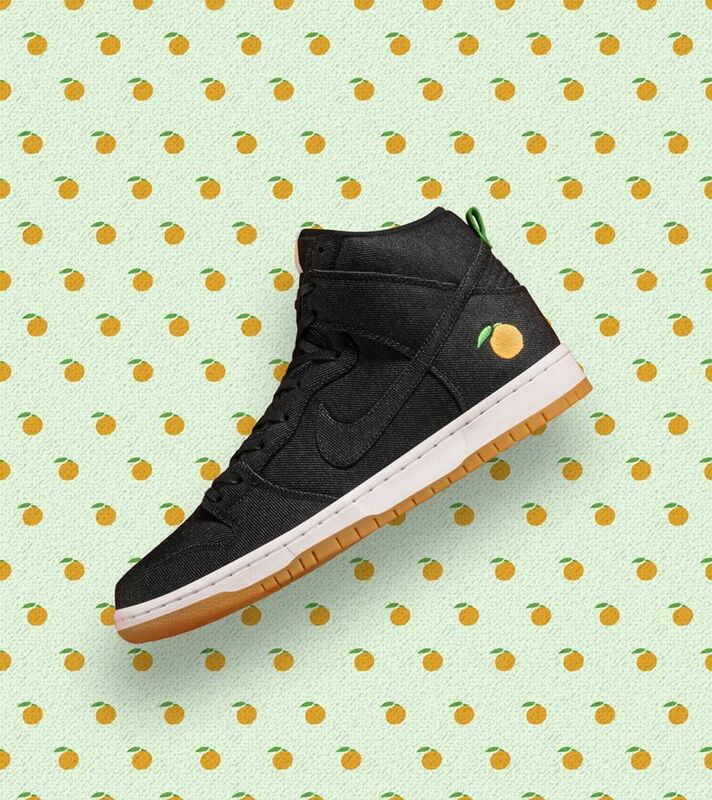 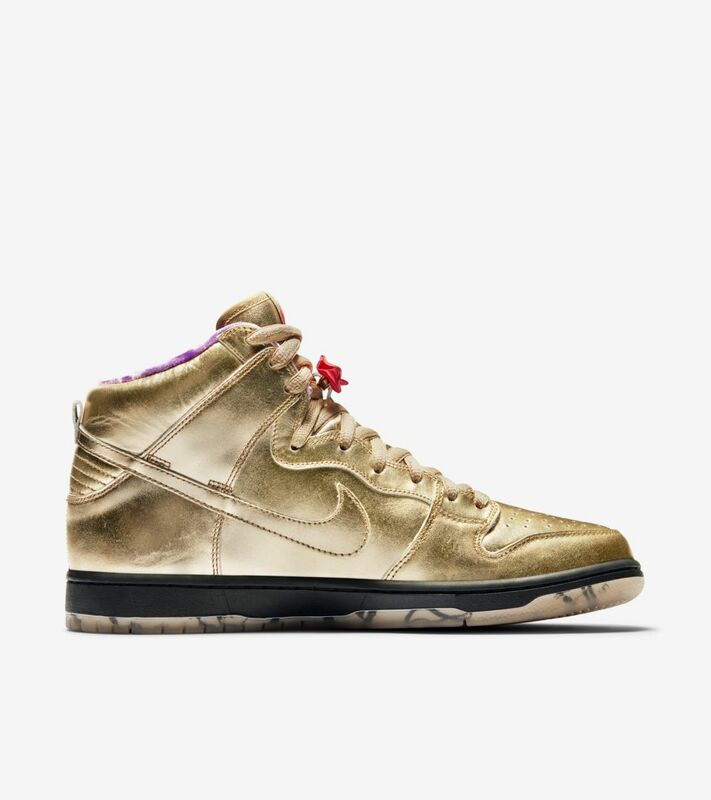 Nike SB continues celebrating skateboarding's cultural gathering places with the release of Humidity Skate Shop's SB Dunk High, commemorating New Orleans' tricentennial. 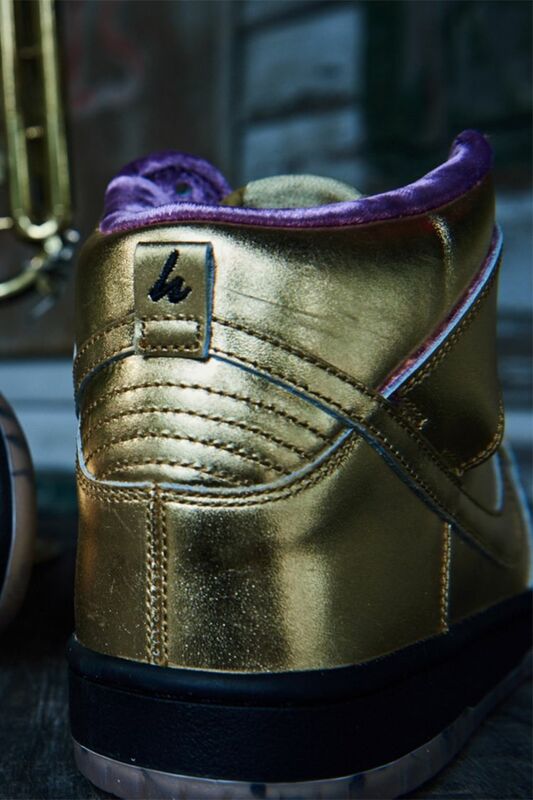 Approaching its 22nd anniversary as New Orleans’ oldest skateshop, Humidity is led by owner Philly Santosuosso, who has helped turn it into a communal shop for the passionate Nola skate scene. 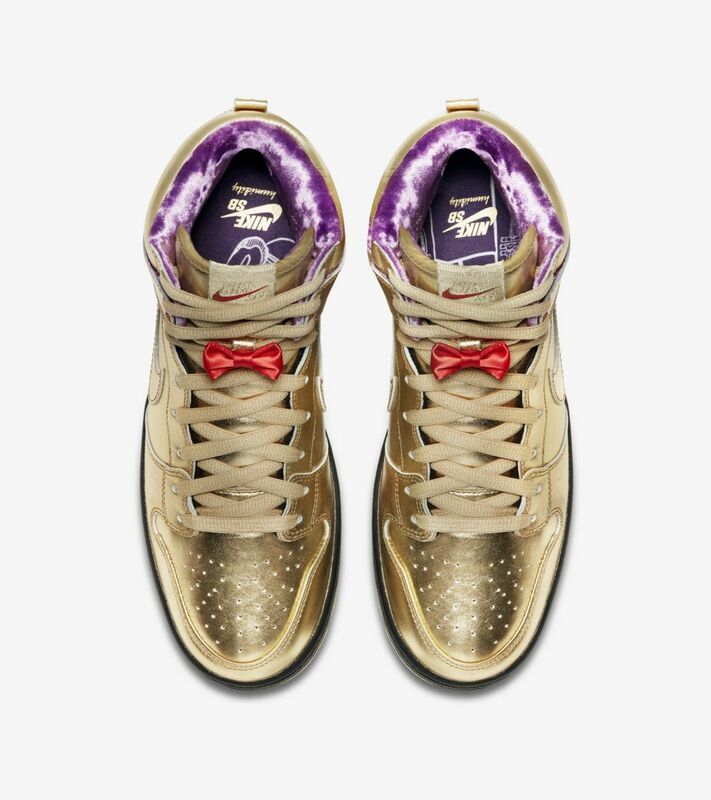 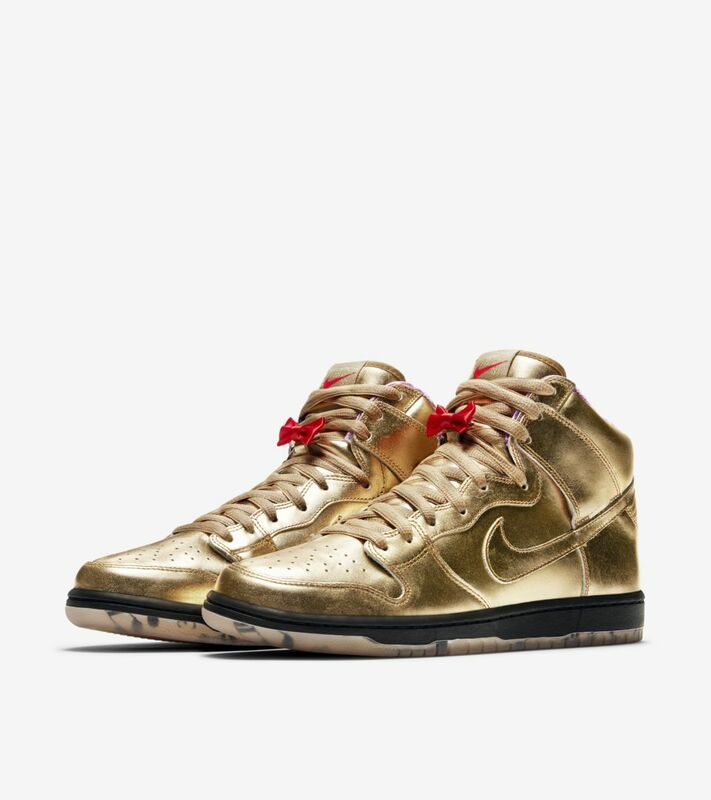 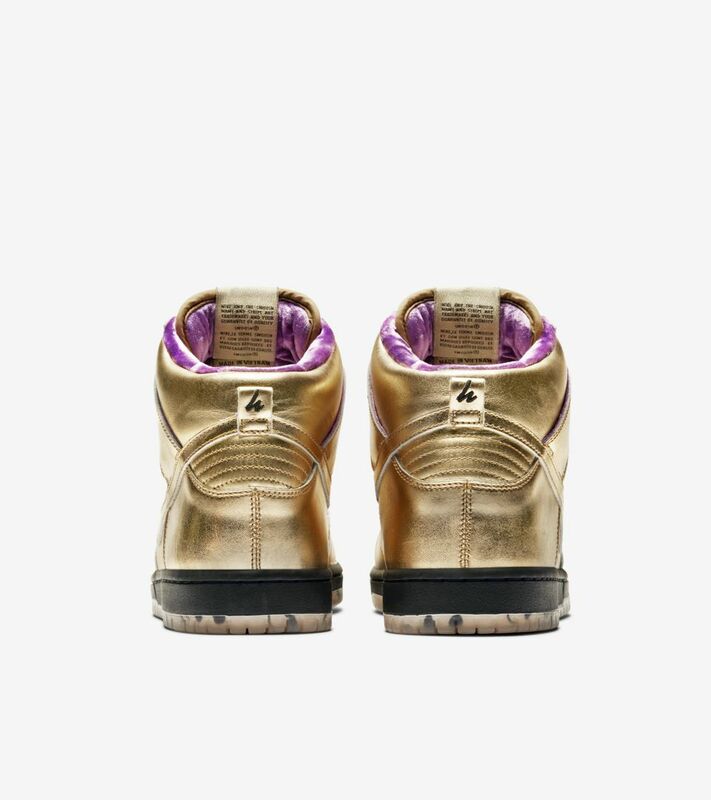 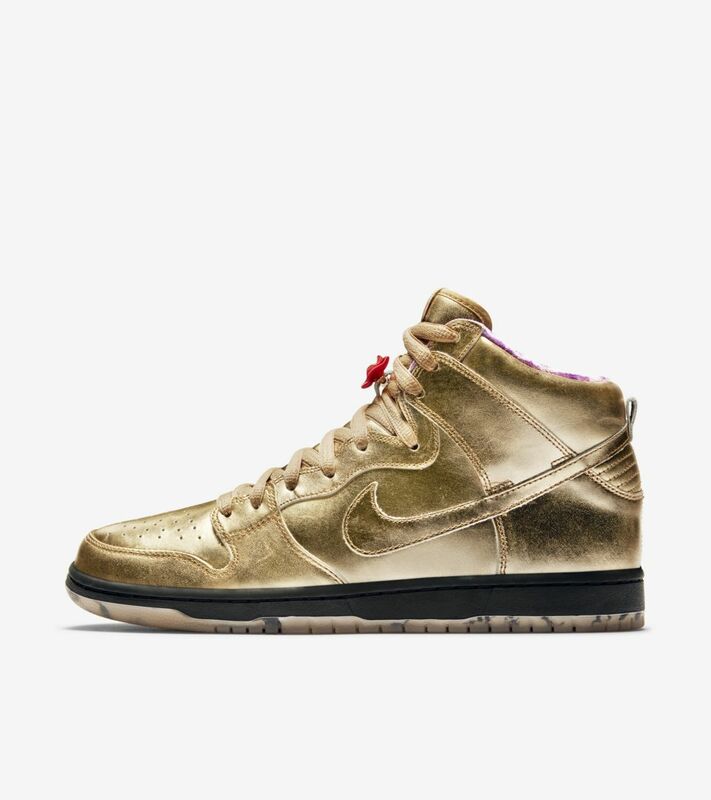 Outfitted in a shining metallic gold finish, Philly and the Humidity team wanted to create a shoe that told a story. 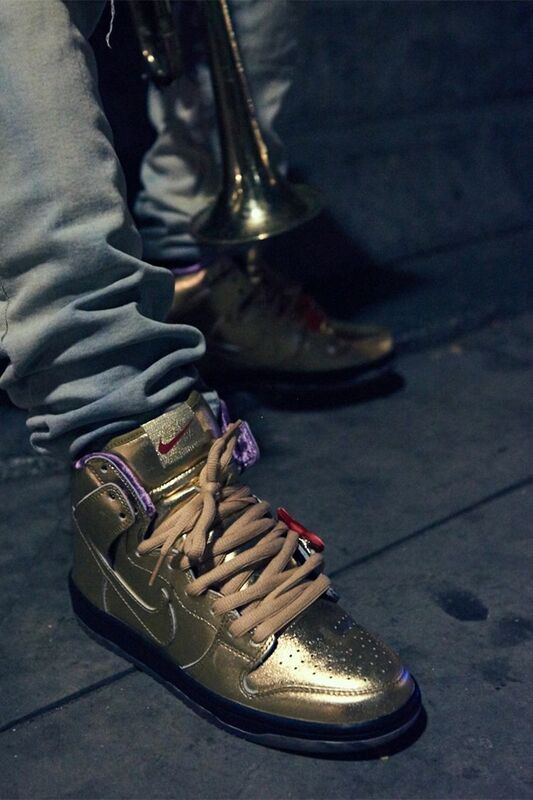 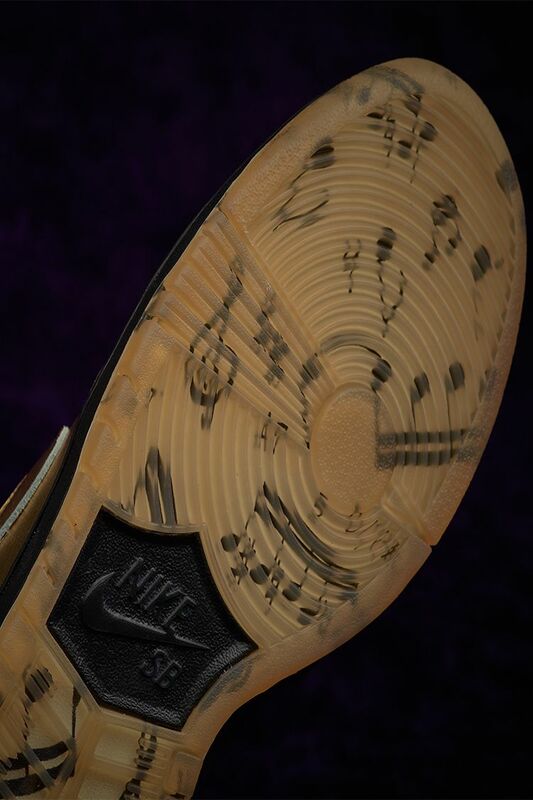 The premium gold finish emulates a shining brass horn, while trumpet graphics musical notes displayed throughout the translucent sole further the celebration of New Orleans' musical heritage. 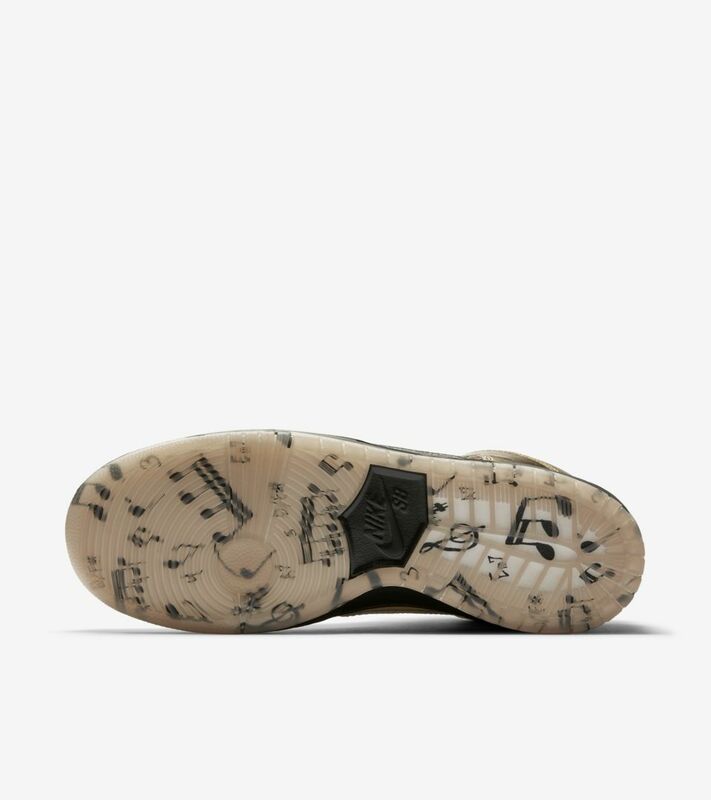 A removable bowtie tops the laces, while the premium velvet lining nods to the inside of musical carrying cases.